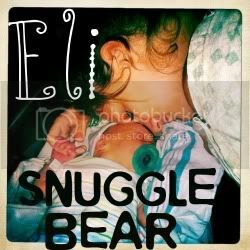 Snuggle Bear Eli: Are you there blog? It's me. Are you there blog? It's me. Unexpectedly, I was packing a diaper bag and off to go see my mom with my older brother. I haven't seen her in 8 months. I was in such a hurry I didn't really have time to sit and think about how I felt about seeing her again. The closer we got to where ever she was, the more and more I wanted to be home. An over whelming feeling of protectiveness came over me. I just wanted to hold Eli and not let him go. My mom complained some, talked about god, cried, and smiled. It was about 9pm when we decided it was time to start our hour and a half drive home. Seeing my mom brought up so many negative thoughts and I just wanted to be back home with my safe and comfortable surroundings. Anything she said just made me mad because of the fact that she doesn't even know who I am anymore. It was quite a visit. Glad it's over. 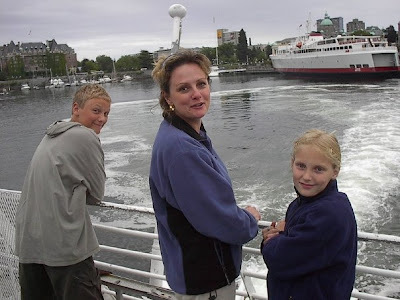 My older brother, my mom, me. Wow.